You have no idea the impact that you and your book have had on little Nicholas. He showed no interest in books until reading "Adventures with Zap". He was so excited to write to you; he insisted that I find a physical mailing address se he could write to you. Even more excited was when I showed him this email and he read your note. Thanks so much for inspiring him and peaking his interest in the wonderful world of reading! fun writing and drawing with Zap. And what's this? A creative star award at the end!" that's of critical importance to The Trust is early literacy. ​that you've done and we appreciate it." "My six year old daughter said, 'This is actually fun!' and didn't want to stop writing. tried to sound out words on her own and grew in confidence in her writing. ​We started the book on a snow day - a great time to break it in." "My son loves this book"
every page. Now he draws and writes in it each morning, a few pages at a time, at the breakfast table. As a first grader, he's not a confident writer yet, but Zap makes writing fun for him. He writes about his drawings and doesn't even realize he's practicing. What a gem of a book!" ​"This is exactly the kind of thing I look for every summer. creative writing,​ informational writing, etc. The brainstorming pages are fantastic." 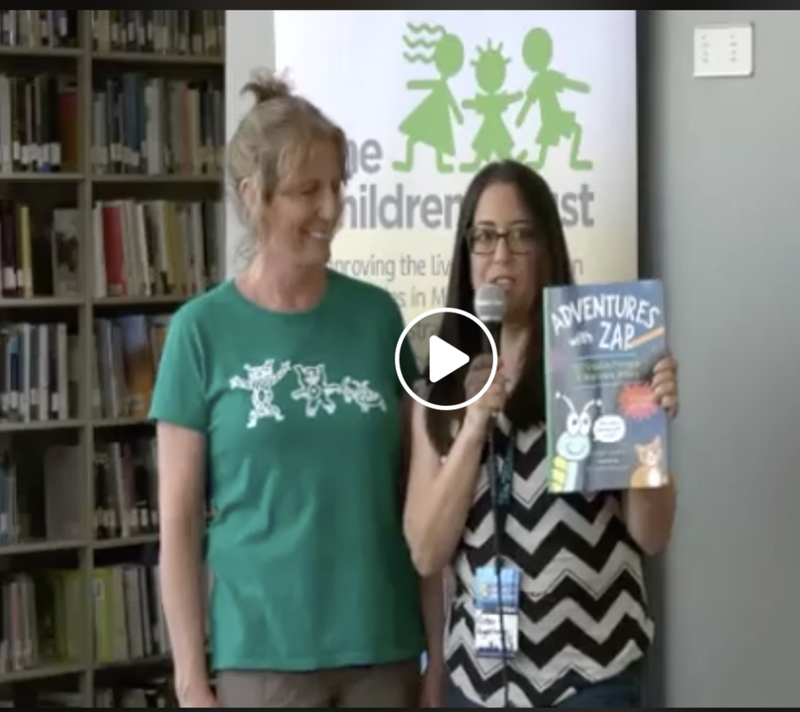 "Adventures with Zap is a fun book to help spark a writing passion with your kids" From video: "While this [book] offers creative prompts, it's so much more. Kids are brainstorming, they're drawing, they're getting their creative juices flowing. But most important, the thing I find is, they're not overwhelmed.... It is so easy to follow this workbook. It builds on skills and offers over and over: fun and simple. A perfect way to get started." (given a copy for an honest review). "What a great interactive book"
​to literally put it on top of the refrigerator because he would not go to bed! What a great interactive book! Thank you so much!"